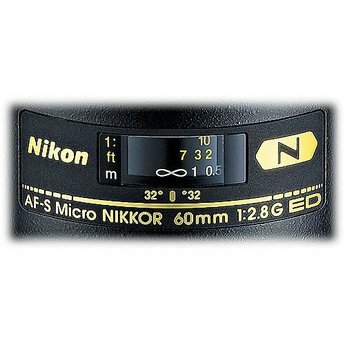 The AF-S Micro-NIKKOR 60mm f/2.8G ED Lens provides an exceptional range of applications and high-quality performance. Compact and versatile, this lens is perfect for close-up, copy and general photography with a 1:1 reproduction ratio for life-size macro photography and a 7.3" minimum focus distance. 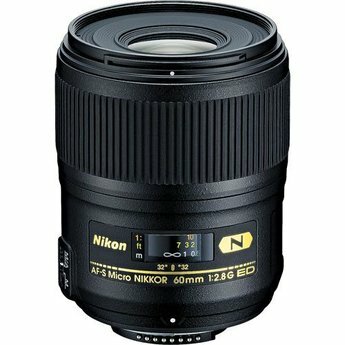 At just longer than a standard focal length, the lens is also useful for portraiture and short telephoto applications. When used on a DX-format DSLR, its 35mm focal length equivalence corresponds to a 90mm lens. The f/2.8 maximum aperture is effective for low-light imaging and provides shallow depth of field control.